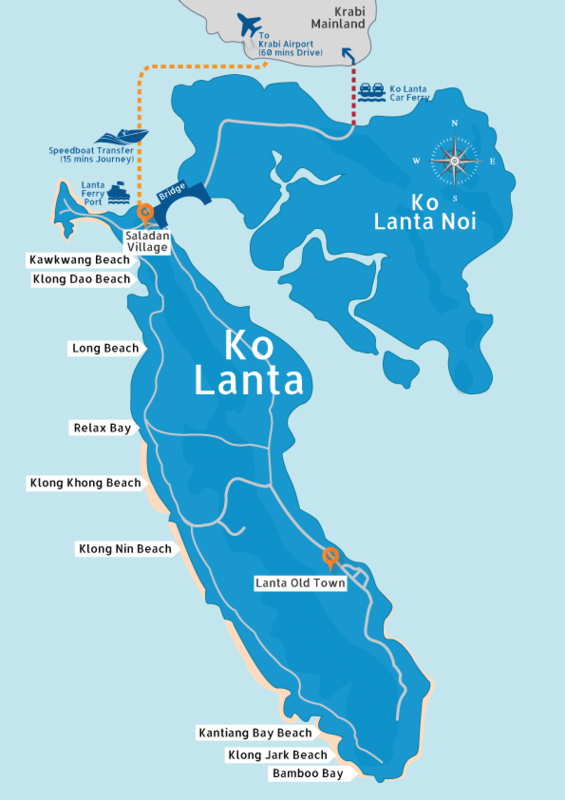 Ko Lanta is a big island with numerous different beaches, each one with its own character. You arrive at Saladan at the far north of the island, whether you’re arriving by ferry, express transfer or minivan – it takes about an hour to drive right to the far south of Ko Lanta. 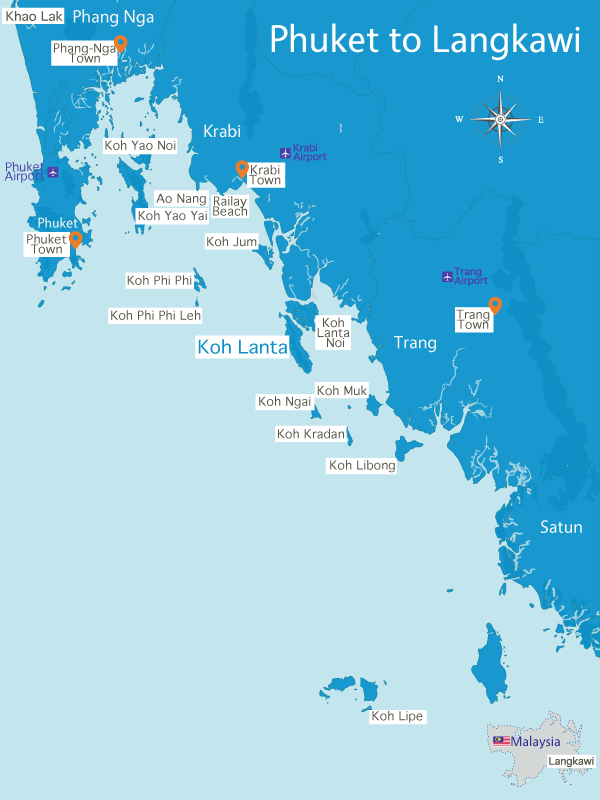 You’ll find a paper Ko Lanta map in the reception area of any hotel or guesthouse – it’s worth keeping this with you as you travel around the island so you don’t lose your bearings. Klong Dao Beach is the busiest beach on Ko Lanta as it’s the nearest to the island entry point in Saladan. It’s only a 10 minute drive from Saladan to Klong Dao. Long Beach is also popular but as it’s over three kilometres long it rarely feels crowded. Long Beach is also home to the award-winning luxury boutique hotel Layana. Klong Khong is a quieter beach, more laid back and with some nice villas for rent within walking distance of the seafront. Klong Nin Beach has a village feel, with lots of beachfront restaurants and bars all close together and easily accessible by road. There are some great beachfront villas for rent in Klong Nin. Kantiang Bay is one of Thailand’s most beautiful beaches, a near-perfect crescent of sand and sea and home to Ko Lanta’s original luxury resort Pimalai. Nui Bay is a tiny beach with very little development – great for a day visit. Klong Jark Beach is also very quiet with little development – there’s one main resort here, the Anda Lanta.